Pay for 5 training sessions at regular price and get the 6th session at half price! Prepayment required and sessions would expire by July 31st. MUST mention ad to get the special. LifeStyle’s for Health is committed to promoting individual health and wellness by coaching clients in becoming more active in their daily lives. We believe that making good nutrition choices and exercising regularly creates the ability to enjoy life, while feeling great in the process. Contact LifeStyle’s for Health today to set up a free consultation for a tailored personal fitness plan! Keeping up with your personal fitness isn’t always easy. You might feel overwhelmed at the gym or have physical restrictions on how you can work out—or your life might just be too busy! This is the advantage to having a personal trainer in Glendale, CA: you’ll get tailored fitness oversight, a customized training plan and the one-on-one attention you need to succeed in pursuing your fitness goals. LifeStyle’s for Health is here to help! We’re your partner in discovering and maintaining a better, healthier lifestyle. Whether you’re trying to lose weight, increase strength or just feel better, we’re by your side with the guidance you need to see real results. 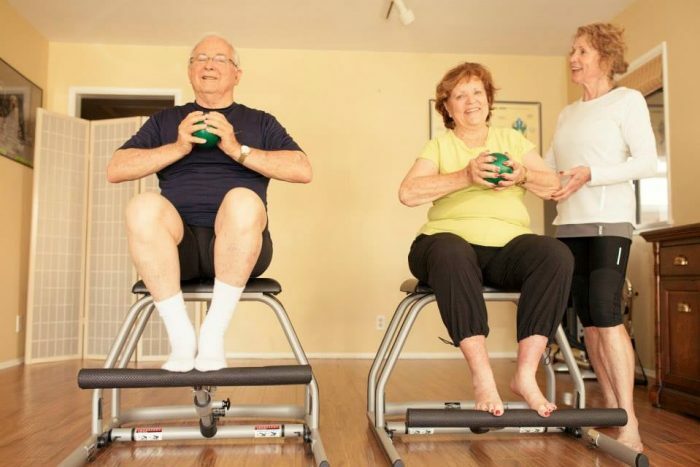 We specialize in functional fitness for senior citizens over the age of 50. Our business has been locally-owned and –operated since 1996, backed by more than 30 years of experience in personal health and wellness. Owner Lucinda Miller is certified with the American Council on Exercise as a Medical Exercise Specialist. We’re affiliated with Heart Zones USA. We offer free consultations for all interested customers and can help tailor a fitness plan around your lifestyle. Build functional strength, increase physical performance or lose weight—it’s all possible with the right training plan! Contact LifeStyle’s for Health today to find your ideal approach to fitness. The mission of Life Style’s for Health is to promote health and wellness by coaching clients to become active and make nutrition choices that positively affect their ability to enjoy life and feel great! Cindy is the founder of LifeStyle’s for Health, a fitness and wellness studio located in Glendale, CA. She has been involved in the health and fitness industry for over 30 years. Cindy has gained expansive experience and knowledge of exercise, lifestyle management and performance training. She is certified by the American Council on Exercise as a Medical Exercise Specialist. As such, she develops and impliments fitness programs for individuals with special needs or who are at risk or have received medical treatment for disease or medical conditions and have been cleared by their physicians for participation in exercise and physical activity. She encourages participation in all types of activities. She promotes awareness that health, feeling good, productivity and creativity start with healthy minds and bodies. Many people want a reason to exercise. 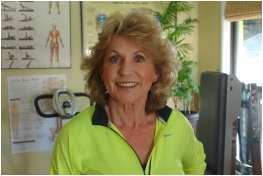 Cindy motivates and works with clients to help them progress safely to levels of fitness that they had not thought possible. She guides them to bring their mind and bodies into balance. Her passion is to encourage optimal physical condition through every stage of life. Clients have different goals. Programs are customized to help each individual accomplish that goal. All facets of fitness are taken into consideration so that the clients can be functional, strong and balanced. Medical concerns and personal limitations are addressed with each client and modifications are included in the programs. Cindy believes in the power of the mind and coming from the heart. She provides training that will inspire and motivate individuals to be happy and have passion for life. She encourages clients to make small, positive changes and takes them to a level of fitness that will benefit their entire well being. Cindy’s professional background is in secondary education. She is certified with the American Council on Exercise as a Medical Exercise Specialist, Personal Training, Health Coach; USA Triathlon Level 2 Coach; Master Trainer with Heart Zones USA; Past President of Heart Zones Coaching LLC. "Had another great workout today. Cindy is the best and has made a huge difference in my life and health. "